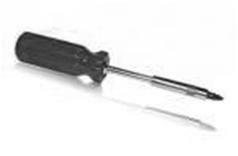 Dock Cable [IPDC1GW]: The Dock cable is designed so that the iPhone/iPod is discretely tucked in the glove box or armrest. The Dock Cable is the obvious choice if you wish to use the Dension Gateway iPod Interface Mode. 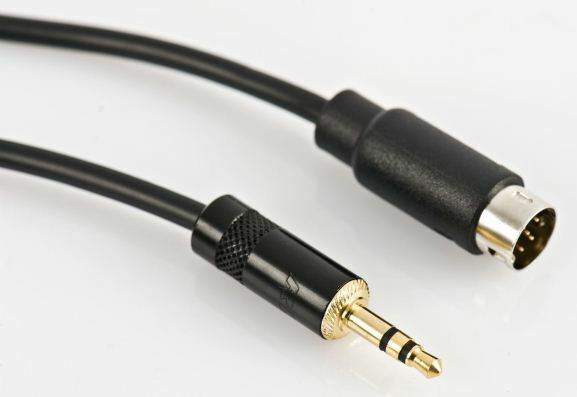 3.5mm AUX Jack Cable [CABL-AUX]: The cable is designed to plug into your auxiliary device and can be discretely tucked in the glove box or armrest. 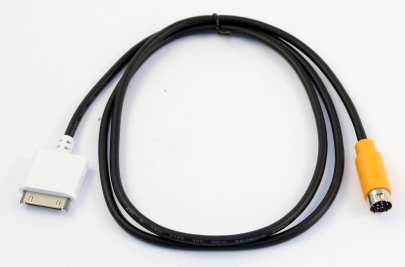 The AUX input jack cable is the obvious choice if you wish to connect the Dension Gateway to a music device with 3.5mm AUX-in eg. MP3 player. 3G Dock Cradle [IP44CR9]: The Active cradle is meant to be mounted to the dashboard via the supplied vent clips that allow you to attach the Cradle to any vents on the dash so the iPhone/iPod display is clear to see and the device is easier to control. Nano2, Nano3, iPhone 1. gen. Touch 1. gen. 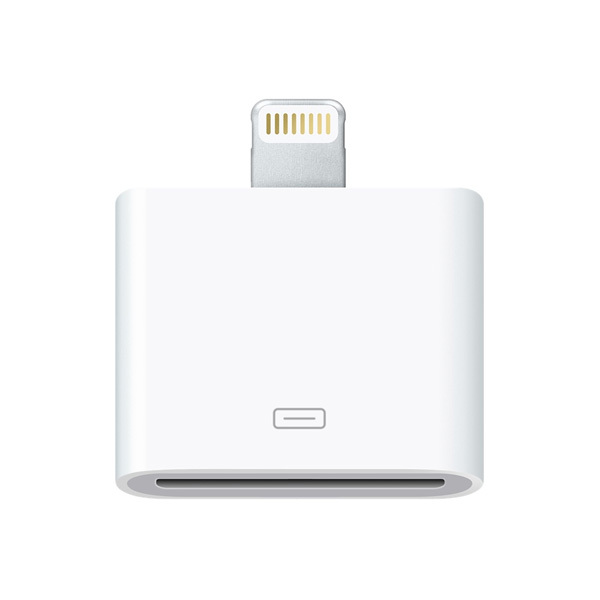 Suitable for connecting an Apple lighting device (Eg. iPod nano 7th Gen, iPod Touch 5th Gen, iPhone 5 etc.) to any iPod kit with 30pin docking connector. Eg Dension, Connects2, Dice etc. The Dension iPod Interface brings complete integration of the Apple iPod or iPhone with your factory fitted stereo. 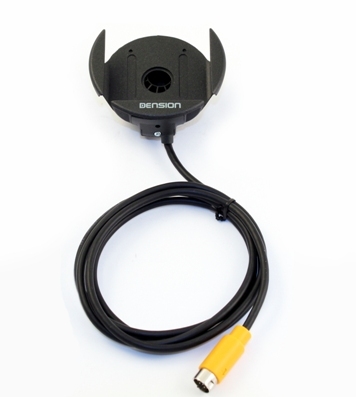 The Dension Gateway 100 is our standard solution for most vehicles. Providing you with full iPod control from your car’s original radio, the simple aim is to provide iPod integration without making unnecessary changes to your car’s original equipment or dashboard. Choose an iPod cradle from the addons or choose docking cable for an even neater installation by simply having everything tucked away in your glove box or armrest. The Gateway 100 iPod car adapter works like an interpreter between your devices and the car, converting instructions from the car’s controls into a language that your iPod can understand and respond to. 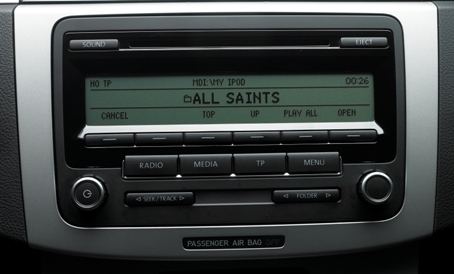 When connected into the car, Gateway 100 emulates a CD changer (usually, sometimes it’s an auxiliary input), thus making those controls on the radio available to control the devices connected to it. Of course, every Gateway 100 comes with a comprehensive user manual, but in most cases, you select the CD changer function, then CD6, and a series of menus are opened up to you to control your music. The FFWD key and/or steering wheel controls are then all you need to navigate around your iPod. Gateway 100 will also send all this information to the display in your car, which might be in the radio, between the dials (speed and revs), or in the radio display, so you can always see exactly where you are or what’s playing. If your car is fitted with a CD changer, the Dension Gateway will take its place, but you can retain it by fitting a CD retention kit. Please note though that text capable cars do not support CDC retention. Dension Gateway Cradle The Active cradle is meant to be mounted to the dashboard via the supplied vent clips that allow you to attach the Cradle to any vents on the dash so the iPhone/iPod display is clear to see and the device is easier to control. Dension Gateway iPod Cable The Dock cable is designed so that the iPhone/iPod is discretely tucked in the glove box or armrest. The Dock Cable is the obvious choice if you wish to use the Dension Gateway iPod Interface Mode. * Please select from the Option menu to purchase. Please check the compatibility with your vehicle here. Please note that ID3 tags (artist, title, album) text is visible on compatible radios. If your radio is not compatible the information is still displayed on the iPod. Our products are professionally installed at your home or workplace anywhere in the UK by our own network of accredited engineers. The installation will vary slightly in different cars, but in each case, you will have either a cradle, or a dock cable to connect your iPod to. Your installer will ask and advise as to the best place to situate this in your vehicle. The Gateway itself is small and will be installed securely out of sight behind the dash. Dension products are all designed so that there is no need to cut cables.